In the business-to-business world (B2B), email marketing is one of the most powerful ways to communicate with your prospects and existing customers. In fact, 86% of business professionals prefer to use email when communicating for business purposes. So it only makes sense to market to this audience using the same platform. It’s fast, convenient, cost-effective, and with the right strategy, can provide a healthy ROI. That’s exactly why the email marketing software business is so competitive, with new email software and services being launched each month. So how will you decide which tool is best to deliver your B2B marketing campaigns? By comparing the email marketing features offered by each service, you can get a better idea of the true value you’ll receive from each tool. 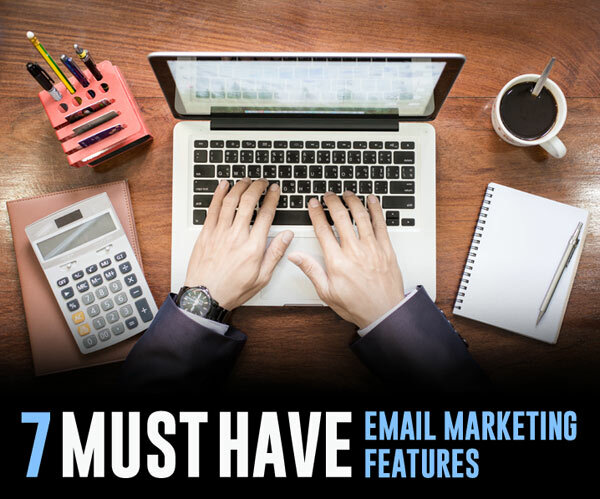 Before we dive into the features that will drive the most sales out of your email list, here are some of the most popular options available for B2B email marketing. I won’t rank these tools in order of best to worst, as I have not used the majority of them personally. However, for a great review of each product, have a look at the following post: Best Email Marketing Services for Small Business. The email marketing software tool you decide to use to deliver your campaigns should have the features needed to keep up with an evolving digital landscape. With so many tools available to B2B marketing and sales teams, we have decided to dedicate a section of this website to recommended B2B email marketing features. Modern marketing automation services have granted us the ability to reach our audiences in new and creative ways. To reach your customers, your email marketing campaigns must have the tools needed to compete with the other businesses in your industry. Everyone wants their piece of the pie, and those who do not embrace the truly amazing power of email marketing will quickly fall behind. These days, you need more than just mobile-friendly designs and list segmentation tools. Advanced email marketing features include everything from advanced data aggregation to email video personalization. It’s this type of user experience and engagement that will win the battle for B2B lead generation into the future. Use the following list of B2B email marketing features as a benchmark for what to look for when choosing the right software or service for your marketing needs. As I mentioned earlier, there are an endless amount of choices to choose from, and many of them will include variations of the features listed below. The B2B sales cycle is long and challenging. Prospects need to be nurtured with highly targeted and personalized messaging to be successful. From the subject line to the landing page experience, the B2B audience must be persuaded to take action by having all of the information they need to make a decision. When a top prospect opens your email, they should be enchanted by your offer. It should offer a clear solution to their needs no matter which stage of the sales funnel they are in. Combine a winning content marketing strategy with an email campaign that harnesses the features listed below, and you’ll leave your competition in the dust. Your email campaigns should inspire readers to take action. Beautifully designed campaigns that deliver impactful content at the right time have the power to persuade your audience to sign up, buy and learn more. The email designer feature should include a drag & drop editor that your team can use without previous design experience. It should be user-friendly and intuitive enough so that anyone on your team can build your message. A gallery of custom templates that are easy to swap and edit is essential. 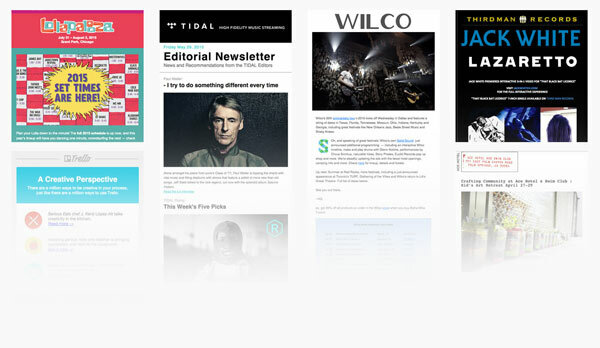 The email designer should automatically create mobile-friendly designs that look great on all devices. An absolutely critical B2B email marketing feature is targeting and contact segmentation. This feature gives you the power to manage and segment your audience so you can optimize growth. An advanced search and segmentation tool should let you search, sort, filter, and segment contacts to align with your specific campaign content. 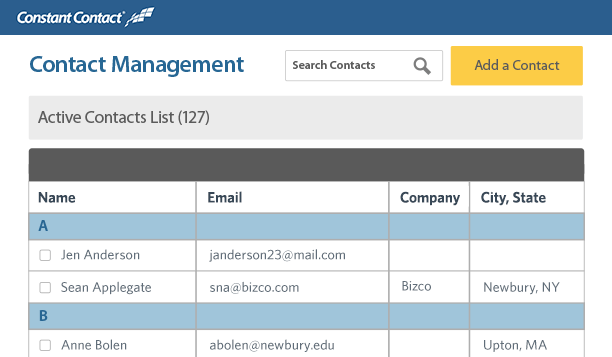 Email list management is equally as important, as you’ll be able to group your contacts into folders and lists together based on specific criteria. Choose an email marketing service that has the ability to update lists automatically based on your chosen criteria. 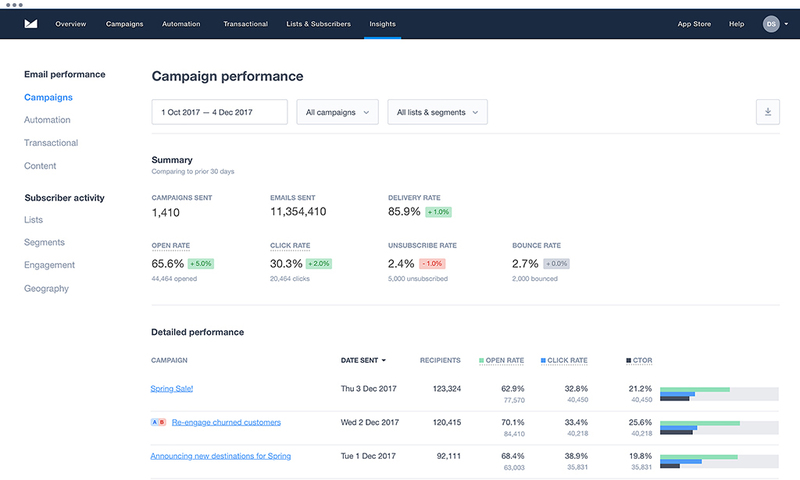 Campaign insights and reporting allow you to better understand and optimize your email marketing messages to continually improve performance. Email marketing is one of the most measurable marketing tactics on the planet. Keeping a close I on key metrics will make the difference between your message, and your competitors. The data should be live and easily accessible from the dashboard. Data that is outdated, or hard to find will only waste more time and hold you back from making smart decisions about your message quickly. Choose an email marketing service that boasts real-time results with convenient campaign report export tools in PDF or CSV formats. You should be able to easily identify where your messages are being opened geographically, as well as which links are being clicked in the message. Uncovering details about the devices and email platforms used to view your marketing messages will help you better optimize your campaign for your target audience. The term marketing automation refers to the software that aims to automate marketing actions including emails, social media, and other website actions. Marketing automation allows you to nurture contacts and convert them into paying customers. It has the power to generate a significant amount of recurring revenue due to its scalability in nature. Today’s B2B marketing professional needs to be able to target potential customers based on their actions and unique preferences. Marketing automation has completely changed the way campaigns perform with multi-step stages and touch points. 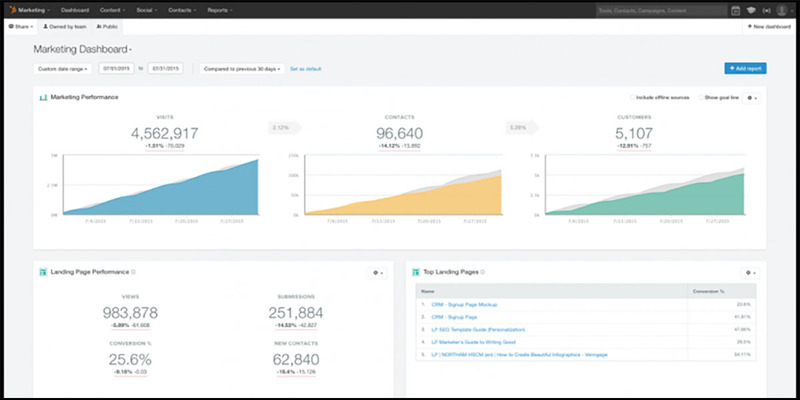 Tools like HubSpot allow you to set up automated email workflows that nurture and engage existing contacts. Lead nurturing can convert leads into customers by encouraging future email and content engagement. Your email marketing campaign can have all the elements of success built into it, but it won’t generate a dollar without reaching the inbox of your recipients. Mailboxes are becoming increasingly challenging to figure out, with everyone’s email jockeying for position. Email deliverability is an essential part of being able to effectively communicate with your prospects and customers. For large volume sending, shared and dedicated IP addresses are essential. You’ll need an email marketing service that’s able to manage large volume sending by creating and monitoring dedicated IP pools. IP pools are basically a configuration of network settings and available IP’s that can be assigned to specific addresses and campaigns. In the following video, Neil Patel takes a step back from subject lines, open rates, and CTA’s to discuss email on a foundational level: email deliverability. The process of email list verification and validation is the process of removing invalid contacts from your list that have expired or don’t exist. This is an important step to take, as bad data can have a negative effect on the deliverability of your campaigns and create problems. A robust list cleaning service may be used independently from your email marketing software tool before uploading the list. Some email marketing software tools include a built-in list hygiene tool to regularly clean your contacts to remove redundancies and invalid emails. 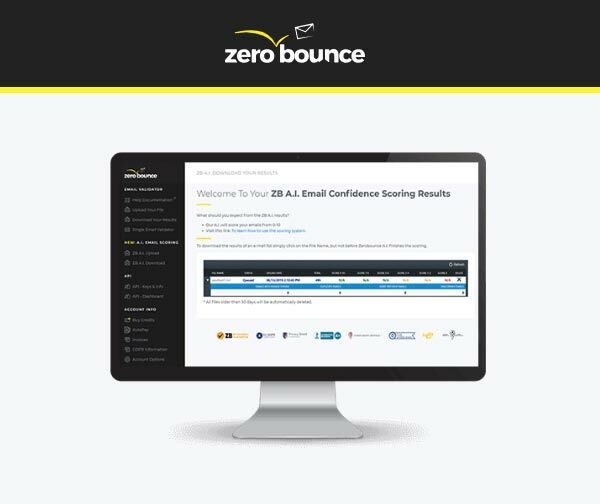 The ZeroBounce email validation service checks for things like invalid email addresses and spam traps, while also allowing you to append your list to enhance and complete your contact data. Modern email marketing software tools allow you to create custom integrations with your website or mobile app. The API should be accessible in a variety of programming languages so that your team can properly build out a tight integration with your online presence. 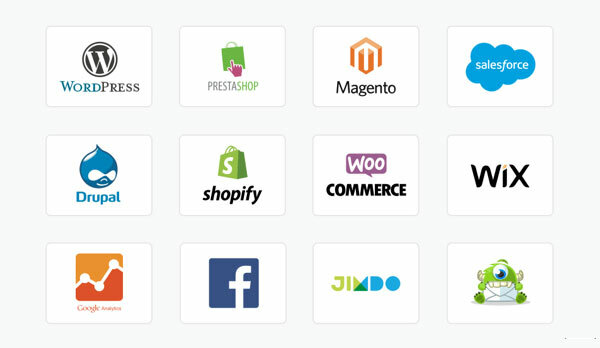 Dedicated plugins to connect your emails to software like WordPress and SalesForce is the easiest way to start integrating tools with your business right away. 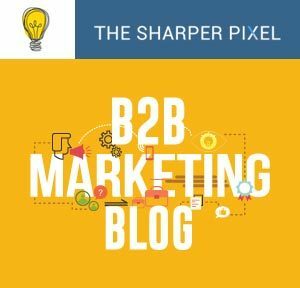 If you have not decided on an email marketing service for your B2B business yet, I hope that this post helped to paint a better picture of the current features available to you. B2B marketing statistics show that the industry continues to shift toward an aggressive digital strategy, and many consider email marketing to be the cornerstone of this effort. Studies show that 53% of B2B marketers say that email is the most effective lead generation tactic, slightly edging out SEO and even content marketing. How much effort are you putting into your B2B email marketing strategy?